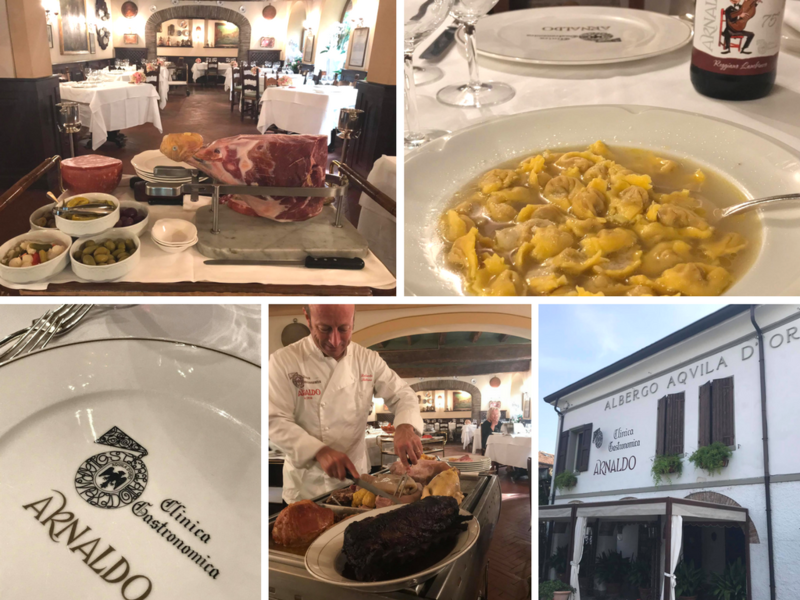 The Clinica Gastronomica di Arnaldo (Arnaldo’s Gastronomic Clinic) opened in 1936, when Arnaldo Degoli and his wife Lina began their activities, creating a new menu made of traditional recipes, handed down by Lina’s mom and sisters and partly elaborated by Arnaldo. In 1959, Michelin awarded the Clinica Gastronoimca di Arnaldo with one star and today, after 59 years, it is the only restaurant to keep it among the sixty places that received the star in the same year, which makes Arnaldo the most enduring Michelin starred restaurant in Italy. The role of the tradition is still present today as in the past with a deep care of the raw materials’ quality. The daily celebration of fresh pasta, traditional boiled meat, cured meats and Italian pastries for over 80 years, is the secret of the success of this irreplaceable place and symbol of Emilian cuisine, that chef Roberto Bottero and his wife Ramona keep running following Arnaldo footprint.